I am a specialist at creating smooth cinematic and emotive imagery. With over 8 years experience I have worked across a variety of genres including Cinematic TV Commercials, Sports, Branded content, Music videos, Narrative films, TVS interviews / Reality TV and Corporate Films. Some of the Brands I have worked for include; Disney, XXXX Beer, Fox Sports, Telstra, Woolworths, HBF, Muzz Buzz, Enjo and The Defence Force. I have also shot for several international clients (Predominantly UK Production companies) for TV series and other documentary programs. 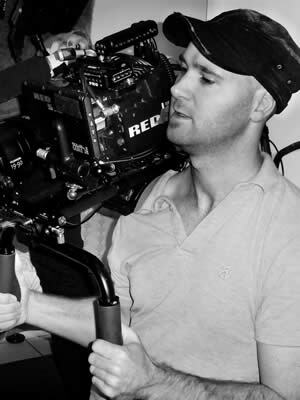 In the narrative world after winning an ACS WA & SA Bronze award for Short Form Narrative in 2016 and Worked as 2nd Unit DP on Feature Films “I am Mother” (Staring Hilary Swank), Netflix Original “1922’” and B Camera on Canadian Documentary “I am Heath Ledger’ 2017 has been an exciting and progressive year. Having learnt the craft through experiences working in the frozen conditions of Burlington Vermont USA to the Tropics of Singapore as a focus puller & AC before progressing to Director of Photography (DP) roles I can bring a unique technical and artistic point of view to the project. I look forward to working with you! I couldn’t recommend Ross more. A great eye, incredible technical understanding and ability to adapt to different crewing rosters and situations, his commitment to the job extends beyond his DOP abilities which makes him the complete professional package. There’s no question, Ross is an enthusiastic, capable and collaborative DOP with a very good understanding of the technology and an even better creative ‘eye’.